Tess Thompson Talley is grinning, hunting rifle in hand, in front of the dead giraffe, as she points to the sky in the way quarterbacks do after throwing touchdown passes. Africland Post referred to Talley as a “white American savage” in a mid-June tweet. Actress Debra Messing called her a “disgusting, vile, amoral, heartless, selfish murderer” in an Instagram post last week, with comedian Ricky Gervais criticizing her through his typically unprintable words. Talley, a Kentucky woman, did not respond to a request for comment from The Washington Post. But in a statement released to the media, she defended her hunt, saying that by slaying the giraffe, she helped conserve the animals through “game management,” protecting the giraffe population because the animal shot was too old to breed and had killed three younger bulls. “The giraffe I hunted was the South African subspecies of giraffe. The numbers of this subspecies is actually increasing due, in part, to hunters and conservation efforts paid for in large part by big-game hunting. The breed is not rare in any way other than it was very old. Giraffes get darker with age,” she told the Today show in a statement. Talley is correct. It does appear the black coat is a byproduct of age and not indicative of a rare species, Giraffe Conservation Foundation co-founder Julian Fennessy told Yahoo Lifestyle. Fennessy identified the animal as the Southern giraffe, which is not only not rare but increasing in the wild, he said. “Legal hunting of giraffes is not a reason for their decline, despite the moral and ethical side of it, which is a different story,” he said. 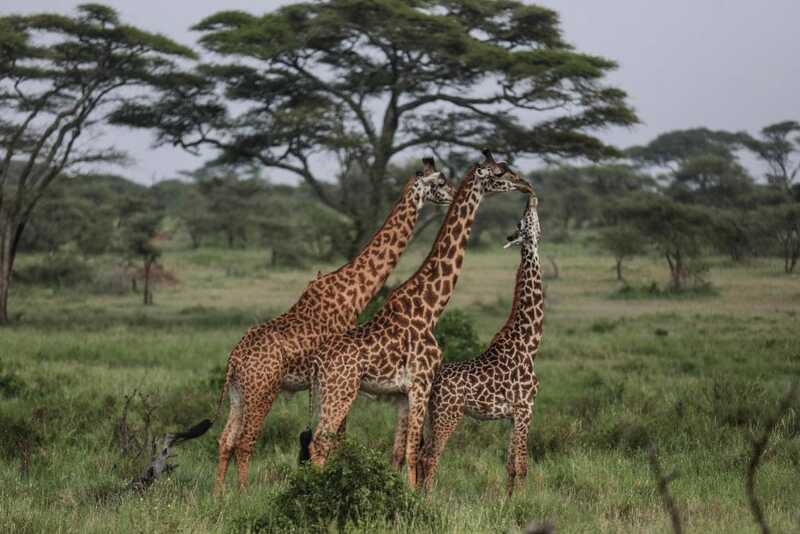 It is unclear whether Talley is correct in asserting that big-game hunting and the revenue generated by it contributed to growth in the giraffe population. Fewer than 100,000 giraffes remain in Africa; the population has experienced a 40 percent decline in the past 30 years because of habitat loss, human population growth and poaching, the foundation said. Paul Babaz, the president of the hunting group Safari Club International, told CBS News that hunting giraffes is legal in South Africa, with hunters paying between $2,000 and $3,000 per animal. Those funds, he said, go to communities and provide incentives to keep the animals from going extinct. Safari Club International could not be reached Tuesday. Babaz told CBS News that Talley ate some of the giraffe meat and harvested the rest for more than 200 people at a village, including an orphanage, but did not provide evidence she had done so. In Facebook comments and in her statement, Talley said she believes her gender may feed criticism from progressive activists and celebrities. “It is by far women that hunt who catch more grief from the ‘tolerant’ and ‘all loving’ animal rights activists. It’s sickening to the majority of people how women are treated all over the world, except in the case of women hunters,” she said, according to Today. Talley did not elaborate, but The Post’s Peter Holley wrote in 2015 about women — Rebecca Francis, Kendall Jones, Eva Shockey, Melissa Bachmann — who’ve been attacked online after publicizing their kills. Sabrina Corgatelli ended up on Today after her giraffe hunt sparked a backlash. It was a male dentist in his 50s, however — Walter Palmer — who was at the center of the Cecil the lion controversy. President Trump’s adult sons also have been criticized over their big-game hunting. She wanted to hand-feed a shark but then aghh no not like that why??? Alex Horton is a general assignment reporter for The Washington Post. He previously covered the military and national security for Stars and Stripes, and served in Iraq as an Army infantryman.